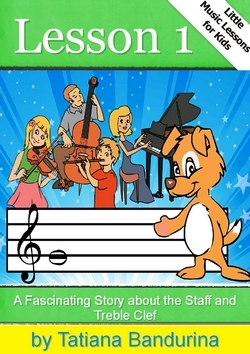 Hi, I am Tatiana Bandurina, the author of the series of books Little Music Lessons for Kids. On this website I want to share my secrets of teaching children music. 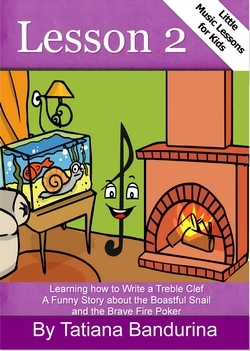 I got the idea to write Little Music Lessons for Kids over ten years ago. My whole life I taught children music in Ukraine, in Russian, and here, in Canada. I often hear parents’ allegations that music education is difficult and not every child is able to learn it. Children have particular difficulty in music theory, which every musician should be educated in. What’s going on? Is that the child receives little information in the classroom? Maybe he has had little practice? If so, why? On the internet, you can find many sites with the rules of music theory and practice programs. And in order to get your child started to use them in the first place, he needs personal desire. And in order to have this desire, he needs the necessary motivation. Where does the motivation come from? It “warms up” interest. INTEREST – that is what lies at the heart of all learning. Is there interest? Then there is motivation! Have the motivation? Here is a desire! If your child has a wish, therefore, they must be diligent, work hard, and have perseverance. With this formula, the child can overcome any science and music theory as well. Where does the interest come from? It occurs at a time when you can get the attention of the child! Little Music Lessons for Kids, which you will read to your child, was made from the basis of this magic formula. You will see how you can easily get the attention of the child, because the basis of all these lessons is a game. It’s fun! You can just read the interesting stories with the child, considering the pictures, or you can be a teacher yourself! Each lesson is accompanied with detailed instructions. They are made so easy that you do not need a special education! I believe that the second option is ideal for training and will be more useful to your children. Why? I will reveal this little secret at the end of the first lesson. So, no matter what age your child is, if he already knows how to count to ten, he is quite willing and able to start studying elementary concepts of music. Read, get the knowledge, experience and … enjoy learning!